Traditional disks can no longer keep up with the needs of modern enterprises, which now rely more on business-critical software to digest heaps of corporate and customer data in order to make quick business decisions. 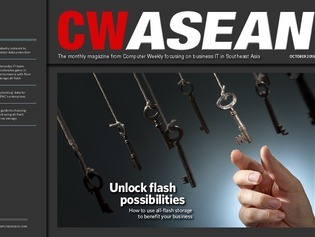 In this issue of CW ASEAN, we take a look at how enterprises are taking to all-flash array storage, the factors to consider when laying out a flash storage strategy, and what enterprises need to do to lay the foundation necessary for getting the most out of the technology. Two years ago, the Mercedes AMG Formula 1 team deployed Pure Storage all-flash arrays in its datacentre and in mobile racks out on the circuit. It’s a bet that has paid off for the racing team. Splunk’s regional vice-president, Chern-Yue Boey, tells Aaron Tan about the company’s business strategy and how its customers are using big data analytics in security and IT operations.